Original headlight was useless because reflecting surface got gray. 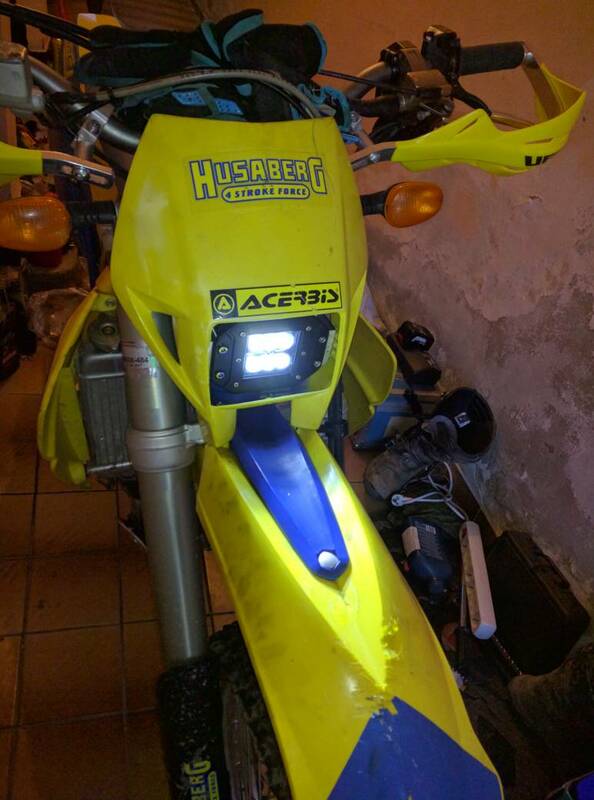 Seen on internet couple of companies offering led headlights for Ktm, wr... Bought 18w led reflector for off-road cars for 16€ and made bracket for mounting. Very happy with result.